The Buffalo Niagara Medical Campus and the surrounding neighborhoods have their problems. Now the campus is putting some cash into 17 community organizations meeting an array of needs and opportunities. It is called the BNMC Spark micro-grants program: not a lot of money - $36,500 - but the individual groups say they can do a lot with a little. Community Program Director Marc Pope said the grants are an outgrowth of the many requests he receives for things like advertisements in event programs and other fundraising. He decided to ask community groups to apply for grants and was surprised to receive 65 applications. He said a key factor in the whittle from 65 applicants to the 17 recipients was their ability to spend the money this year. Pope said that is why the cash is going out in advance of the growing season, since there are plantings in the works for some grants and other grants need better weather so they can build or renovate. He said the grants cover projects across the board. "A whole bunch of different things, if I had to categorize," he said. 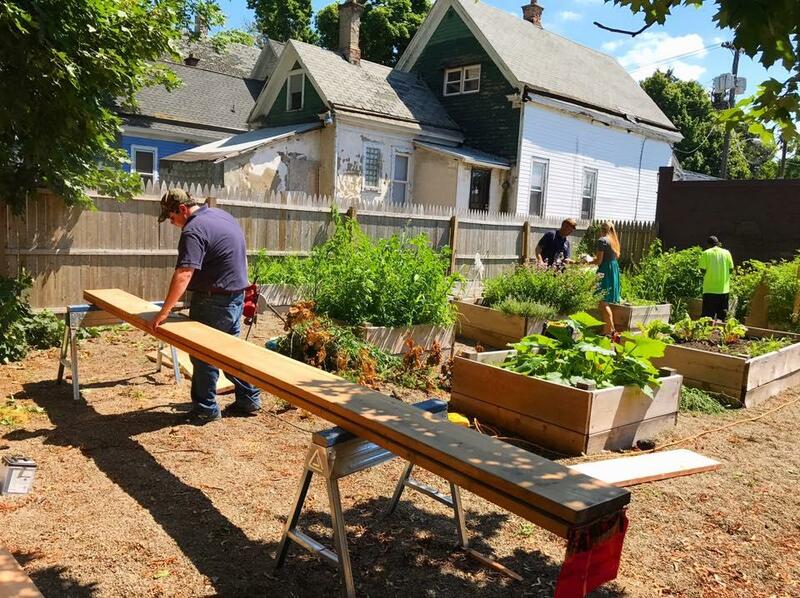 "We, of course, we had a lot of healthy community and food initiatives with community gardens and just providing healthy and fresh foods to community residents. We had a lot of youth activities." While the conventional view of the medical campus is framed by the Fruit Belt on one side, there are other neighborhoods butting up against the often-frantic expansion, like Allentown. That is why the Mulberry Street Block Club is getting $3,300 for its Community Food Wellness Initiative and the Linwood Preservation District & Friends is getting $1,500 for banners marking the Historic Linwood Preservation District. Among the other grants are $3,500 for El Museo's Art in Transit Project and another $3,500 for the Michigan Street African American Heritage Corridor's "Salute to African American History Makers." Pope said if it goes well this year, there will be more grants next year. 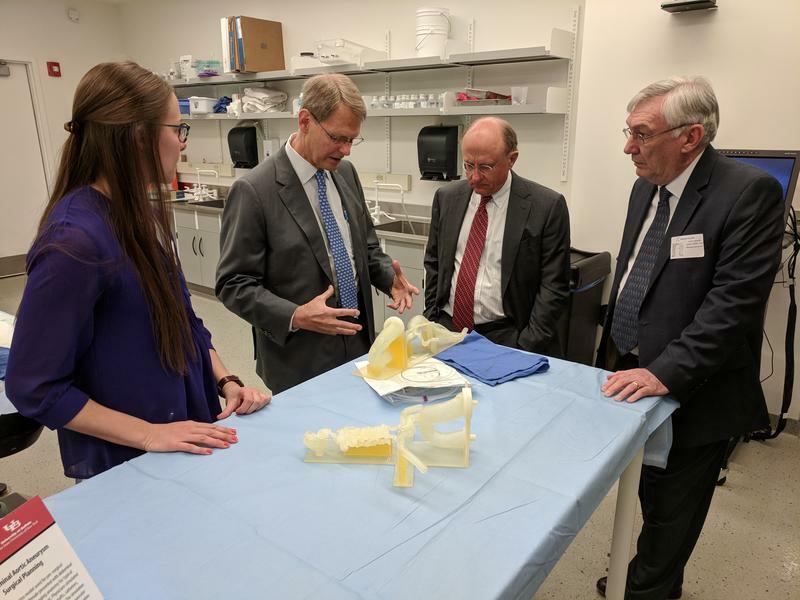 Five years of work on the Buffalo Niagara Medical Campus has come to fruition with the launch of a new innovation center aimed at bringing life-saving technology to the medical market sooner. The ribbon was cut Thursday night at the UBMD Outpatient Center at Conventus, bringing another new facility to the growing Buffalo Niagara Medical Campus. In recent years - the Buffalo Niagara Medical Campus has become "the place to be" for entrepreneurs and new companies. WBFO's Chris Caya reports on the many new businesses that have set up shop on the BNMC.